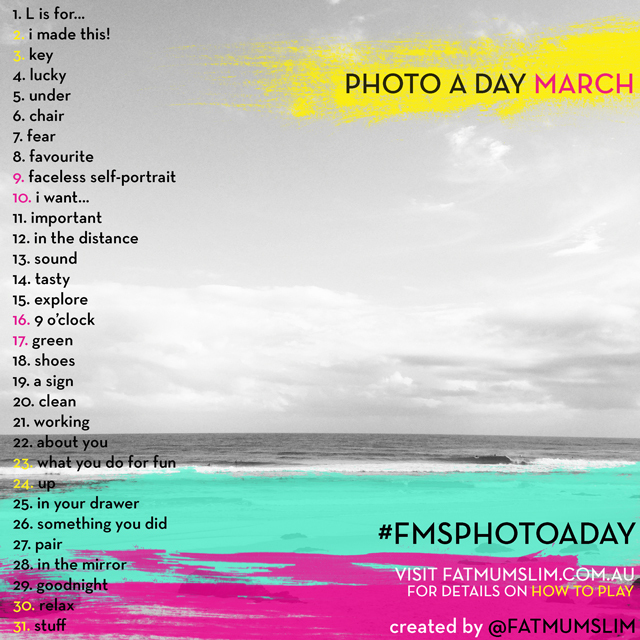 Whether you’re in or just interested, here’s the list for FatMumSlim’s March 2013 Photo-a-Day Challenge. Enjoy. This entry was posted in Instagr.am, Photo-a-Day Challenge and tagged FatMumSlim Photo Challenge, FatMumSlim Photo-a-Day List, FMSphotoaday, FMSphotoadayMARCH, March Photo-a-day, photo-a-day challenge. Bookmark the permalink.